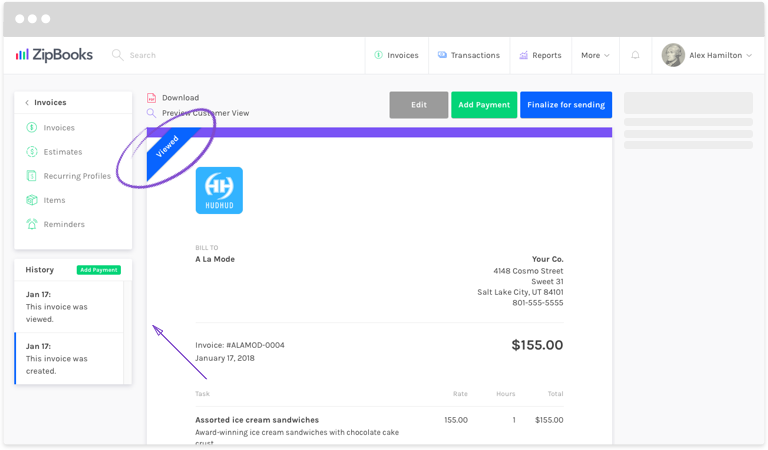 ZipBooks lets you see when your invoices have been sent, viewed, and paid right from the list view. Log into ZipBooks and click on Invoices at the top of your screen. A list of your invoices will appear. You’ll see the status of the invoice at the middle of each line. Gray Draft – An invoice that has been created, but not yet sent to the customer. Blue Sent – An invoice that you’ve sent to your customer. Blue Viewed – Your customer has opened the email containing your invoice. Green Paid – Your customer has paid their invoice. To see the status on each individual invoice, click on the one you need in the list. 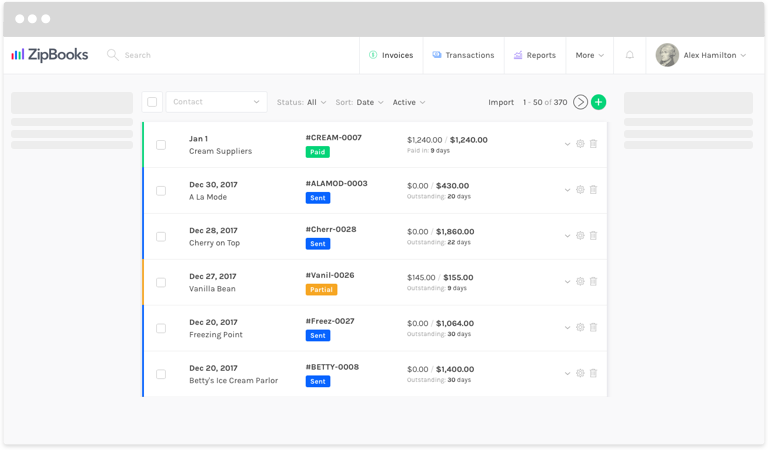 You’ll see the status as a tag across the top left corner of the invoice, along with a history of the invoice on the left side of your screen. You’ll see when it was created, each time it was edited, when a client opened it, and when any payments were made.